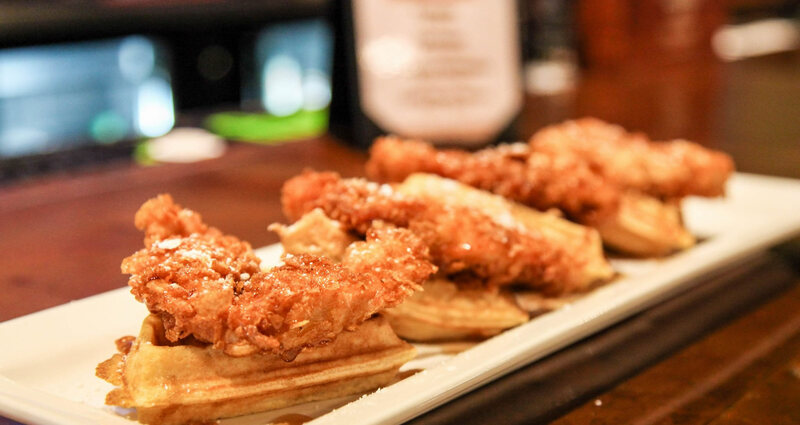 Corn Flake crusted chicken breast with made to order waffles, and hot maple syrup or bourbon honey sauce. Deviled eggs, topped with bacon, bacon mousse, and cherry tomatoes. watermelon / fresh spinach / bermuda onions / feta cheese / fresh lime juce. Texas Toast, Seasonal Berries, cream cheese, Hot maple syrup or honey bourbon sauce. Fresh Shrimp, Spicy Andouille Sausage, Grits. English Muffin, Poached Egg, avocado, tomato, hollandaise.